Noah Lennox (aka Panda Bear) is a core member of Animal Collective. Multi-talented and hugely creative, he is both an incredible songwriter and an instinctive and natural musician. Starting out in Animal Collective as a drummer with his own very unique style, when we first saw Noah he was playing a mean acoustic guitar and adding his own distinctive, beautiful vocals. Since co-writing the universally-acclaimed 'Sung Tongs' and 'Feels' albums, he has slipped back behind the drums in AC, whilst continuing to add vocals and electronics. Besides his work in Animal Collective and under his Panda Bear alias, Noah also works in the duo, Jane, a more minimal, techno-influenced collaboration with his friend Scott Mou. Panda Bear's material exhibits a fluidity and functional rhythmic accessibility stemming from a deep love of DJ culture; a delight in texture and depth; a playful use of samples and electronic processing; plus a foregrounding of sweet, poppy hooks in the vocal and instrumental melodies. Listen in and you'll hear all manner of influences seeping through - from Joe Meek / the Tornadoes to basic Kompakt to Eddie grant or Cat Stevens. Released in December 2006, the 'Bro's 12" is Panda Bear's first solo release on FatCat, and follows three previous releases - the ultra-limited, self-titled 1998 album (on bandmate Deakin's short-lived Soccer Star records); the well-received 'Young Prayer' album on Paw Tracks in 2004; and 2006's 'I'm Not / Comfy in Nautica' single on the UUAR label. A Panda Bear / Excepter split 12" and a third solo album were released on Paw Tracks in 2007. In 2008, Panda Bear released the stunning 'Person Pitch' on Paw Tracks. The record is largely comprised of singles released prior to the album, and received widespread critical acclaim, featuring in almost every critic's end of the year recommendations list. 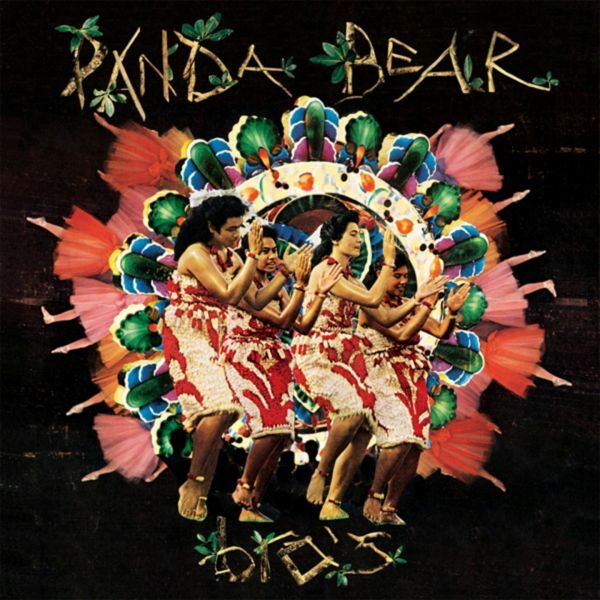 In December 2010, FatCat released the second Panda Bear single, 'Last Night At The Jetty', which arrived in advance of a new album, again mostly comprised of a series of four singles released in the second half of 2010 on a variety of labels. In 2011 he released his album 'Tom Boy' on Paw Tracks.